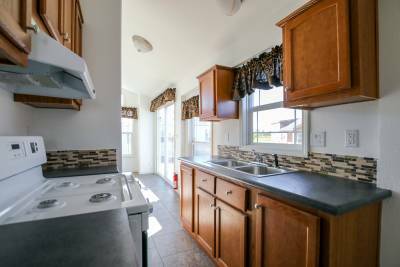 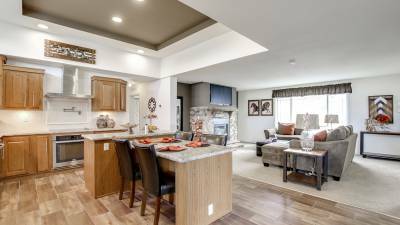 Many of our park model RV floor plans feature a bedroom, bathroom, full kitchen and living area and offer a loft above the kitchen -- large enough for a guest to sleep in -- and optional built-in cabinets in the bedroom for additional storage. 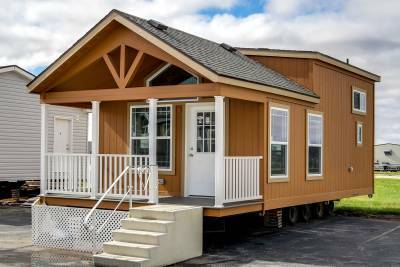 Our park model RVs are built to the ANSI code for recreational vehicles with materials and processes similar to the ones we use for our manufactured homes and modular homes. 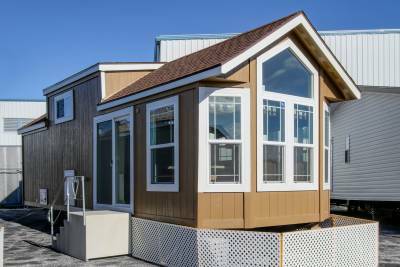 Many customers add a 6’ or 8’ porch on the front of their park model RV. 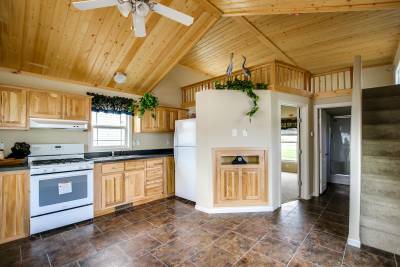 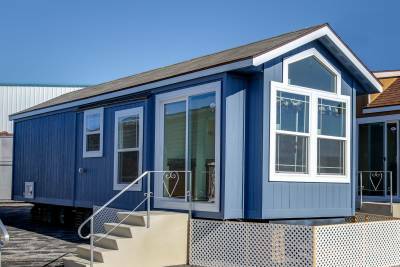 Some also add a second porch on the back end, off of the bedroom, to take as much advantage as possible of their park model RV experience. 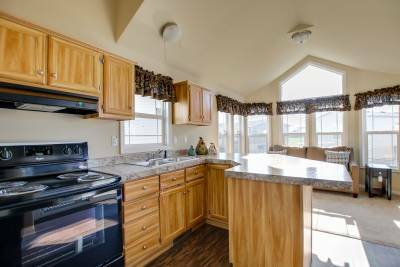 Champion Homes in York, Nebraska, offers a vast number of home styles, floor plan layouts and optional features that allow you to create a home that accommodates your lifestyle.